We trusted the scientists and as more and more of these papers appeared we slowly came to accept that the planet was warming because of our CO2 emissions. After all, they were scientists and the studies kept coming out. Surely they were true. The United Nations held important meetings every year to discuss global warming. UN envoys toured nations; the Secretary General was photographed in important cities shaking hands and making speeches. Who were we to question them? We were all doomed. Urgent action was needed. Give us your money. By now, people of high curiosity everywhere, scientist and amateur alike, were investigating the claims for themselves, starting with the cause of the warming. They were surprised to quickly find discrepancies in theory and observation (though they couldn’t know it at the time, but discrepancies are numerous in this ridiculous climate saga) so they wore puzzled looks and asked penetrating questions. One of the first surprising things to come to light was that the temperature wasn’t rising as the alarmists were telling us—it was hardly rising at all! And it was not the highest temperature ever recorded. “But sir, sir! You said the temperature was the highest ever but, sir, the Medieval Warm Period!” Open, eager for the truth. They were very soon just as puzzled when they realized that nobody else had already asked these questions, though they had the means to have known the truth earlier—politicians, scientists, doctors, clerics, teachers, industrialists, financiers, insurers and journalists. But the shrill criers seldom gave helpful, open answers even to the most innocent questioners, resorting instead to ever more rancorous disparagements such as ‘climate denier’ or sinking to blatant propaganda like “the science is settled.” Greenpeace took the easy, if ignoble way out by announcing they would henceforth refuse even to discuss climate science, since there was no longer any debate, and they went about spreading whatever lies they liked. The curious peoples’ expressions began to harden, seeing the stakes were high, tax money was being squandered on every sort of futile eco-chumminess (weaker light bulbs to save the earth, unsustainable subsidies for wind turbines, shipping logs across the Atlantic to fuel British power stations?!) and they faced considerable opposition as they were mocked, their articles refused publication, they were fired from their jobs or forced out of their academic positions for asking questions and publishing sceptical papers. This would take more effort than the curious ones had realized, for now they saw the serried ranks of eco-activists stretching to the horizon and their hearts quailed. How could we few curious ones prevail against so many? Would honest searching for the truth be enough? Then about ten years ago the eco-activists began to panic. First, the weather continued against them, failing to warm significantly, while politically, efforts had been all but fruitless. Their strident demands for joint action against this climate “plague of the world” failed to produce concerted international action. Nations were, as they always have been, fixated on their own agendas and not at all inclined to interrupt their routines unless they were to benefit. Explains all the bleating from small nations about “climate reparations”—who cares what you call it? Any reason to receive money is good. The curious ones were proving just as truculent, persistently refusing the orthodox climate story and continually asking inconvenient questions about it. Growth in publicly-expressed scepticism was unexpectedly rapid. Income from government subsidies and fear-driven eco-products was declining and prospects were dimming. It’s clear that plenty had in fact been happening, but it was more the silent spread of sceptical questioning and information and not, as the warmists had hoped, a hardening of resolve to cripple the oil companies and destroy big business. On top of this, the global mean surface temperature since the 1990s had been virtually static and that inconvenient truth would shortly deal a deadly blow to the entire dangerous anthropogenic global warming (DAGW) theorem. The activists were now scrambling to elevate terror levels in the population lest the global warming movement be destroyed by the earth’s failure to warm. So almost daily we are hectored about the dire consequences if we go on as we are. The most outrageously deceptive statements are published with scant examination by our so-called journalists. But increasingly over the last five years we have seen papers casting doubt on the DAGW hypothesis. The complex web of interacting influences on global temperature is receiving the greatest scrutiny we have ever seen. Scrutiny which should have been applied in the beginning, but better late than never. A statement on the availability of data is now needed on all research published in Nature Climate Change. At Nature Climate Change and the Nature journals, our policy has always been that data must be made available by the authors on request. The full policy of the Nature journals can be found online1. Our policy now requires a statement to be included in the Methods section of accepted papers on the availability of the minimum data needed to understand, replicate and build on the publication. The inclusion of a statement regarding where this data can be found and accessed makes the process more transparent. Now on one level this simply formalises a policy already in existence. But this is a highly important change. Where before an author might refuse to give up his data or algorithm and suffer no penalty, actually publishing the location of the data makes it unnecessary to request permission. It will be out of his control. If all journals adopted this practise, the wasteful, unedifying court battle by Steve McIntyre to get hold of Michael Mann’s hockey stick data and data from other papers too, would be avoided. This post seemed so straightforward as I first envisaged it but it has grown (without my help) and demanded research into all kinds of things (I had not anticipated) and an extraordinary number of links. Though I might be confusing some of the work on my previous Denial at the death of El Nino (which managed to stay decently short) with this post. Welcome to my world. Anyway, instead of being a short note it has required about three days (and meant I ignored Key’s sudden resignation). I think its theme has something to do with the deliberate deceptions practised by warmist advocates, their penetration at all levels of society, especially in western nations, and the profit they draw from pushing the false warmist ideas. But this could go on all year if I let it; let me end it now. In the corporate world, economies with the truth on the systematic and ruthless scale evident in the untruthful comments of the half-dozen “scientists” we have named and shamed here would be severely dealt with. The crafty misrepresentations, the outright falsehoods, the artful misquotations and deliberately incomplete quotations, the unproven assertions, the readiness to criticize a paper that several of these creatures can be proven not to have read, the claims to knowledge they do not possess: these and multiple other instances of gross misconduct would not be tolerated outside the ivy-covered walls of academe. These anti-scientists, these perpetrators who have gotten the facts so relentlessly and often deliberately wrong, must expect to raise a suspicion in some minds that they had misbehaved either for some political objective or for the sake of maintaining a profitable income-stream from the governments they have panicked, or both. The cost of the climate fraud to taxpayers runs to the tens of billions a year. It is the biggest fraud in history. So far, the fraudsters have proven untouchable. The public authorities, even when confronted with the plainest of evidence, have carefully looked the other way. It is not for us to say whether the “scientists” whose untruths we have exposed here were fools or knaves or both. We report: you decide. But allowing the UN to establish an unelected, unaccountable, all-powerful global climate tyranny at Paris this December on the basis of “science” as shoddy and unprincipled as this would be a costly and – as our peer-reviewed paper at www.scibull.com has definitively established – entirely unnecessary mistake. Whether fools or knaves, we cannot trust them until they rehabilitate themselves. I’m talking about the scientists; but the politicians, academics and public servants must be removed from office. And a very strange world it is too, of outlandish conspiracy theories where everyone involved in the scientific consensus is committing fraud. I don’t believe I said that, exactly. I certainly never used the word conspiracy, so you can leave that one out. But if they’re being open and honest about their science, let them release their data on request without a court case. Let them not deceitfully alter temperature data. Let them answer questions openly and with the intent to assist. Let them not address interlocutors as deniers. Let them cease and desist from forcing colleagues out of office who ask awkward questions or refuse to believe the orthodoxy. You might do well, Simon, to ponder that experience of a thoughtful man and ask yourself why all that rancour comes from the scientists and alarmists, not from the curious amateurs. 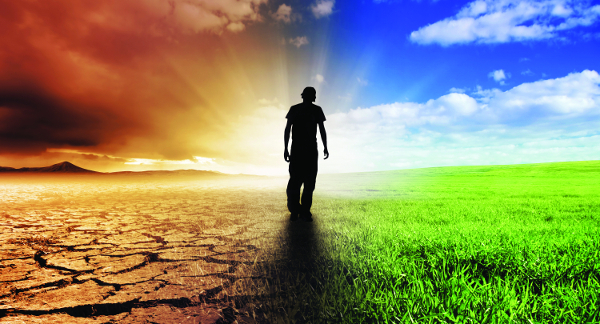 Why the amateurs are open-minded but not the scientists, and why the IPCC investigates anthropogenic causes of warming but not the natural causes. 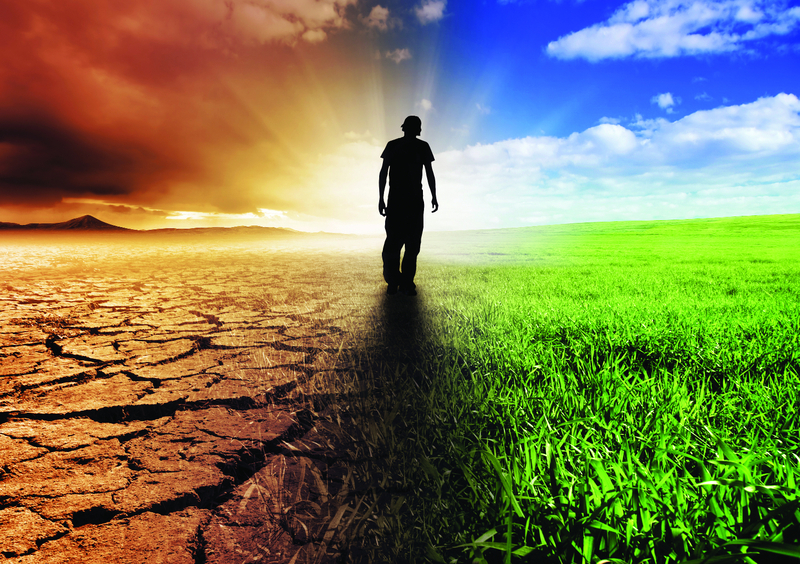 Who is deceitfully altering temperature data? There’s a lot of it going on. And finally, you can find the unadjusted GHCN data here. Which is fine, but it doesn’t really go far enough, does it? We’re talking about the global teams altering data to manipulate the global trends. Moyhu shows nothing of that, so perhaps it doesn’t happen in Australia, but what happens after it gets to GHCN and the others? This doesn’t help and it doesn’t invalidate our answers. Seen our links yet? You mention unadjusted data, but you can’t seriously consider using it to find the trends. I mean it needs adjusting, according to site shifts and all the rest. Just because I’m complaining about fraudulent adjustments it doesn’t follow I believe in no adjustments. That’s no help either. Please note in Magoo’s reference where Phil Jones says: “For much of the SH between 40 and 60S the normals are mostly made up as there is very little ship data there.” Simon, that’s fraudulent, but it’s nothing to do with conspiracy… oh, wait, since Thomas Crowley kept quiet on it, that defines a conspiracy, doesn’t it? Some years ago while working in London, I fell into the habit of reading a selection of London-centric newspapers, including the Guardian. Eventually,and long before ‘Climategate’, I signed up to contribute my ten-pence worth in their ‘Comment is Free’ section, and asked a very simple question about what standards may apply to the collection of daily temperature data. The response was stunning – immediate and intense hostility for daring to ask what was seen by the Guardianista ‘attack dogs’ (yes, some respondents styled themselves as just that) as a leading and incredibly mischievous question. Always up for a challenge, this whetted my appetite for information. Now, years later, the (to me) obvious scam is unravelling, and hopefully President-Elect Trump will starve the climate monster of funds and we can all get on with sensible scientific enquiry rather than one-world inspired plots. Lord Monkton described the One-World Warmists as evil, for denying developing countries access to low-cost electricity. I agree entirely. Simon trots out worn-out mantras from that wicked quarter and is what the Marxists regard as a useful idiot. All of the above organisations produce near identical temperature records using different statistical methodologies. For fraud to exist, it would have to be jointly orchestrated. You are uncritically echoing crackpot conspiracy theories and unfortunately you seem to believe them. Learn to be a sceptic, read the peer-reviewed research and do some analysis yourself. Tamino’s post today clearly articulates exactly what I have been trying to explain to you. I gave you some links; read them. For fraud to exist, it would have to be jointly orchestrated. No. You’re describing conspiracy, not fraud. Never mind the conspiracy, that’s not my point, it’s yours—I didn’t use the word, even. What about my questions? What about not working with others to get sceptics fired? Simon, you ask questions or make points, we answer them but you’re not responding; are you even listening? ‘How do we know the Satellite Data are Correct? In a previous post I showed you how Phil Jones admitted making up data for the surface datasets, and that ‘record temperatures’ were ‘recorded’ where there aren’t even any thermometers to measure the temperature – i.e. they made them up as well. In addition to this the satellite records that NASA state are superior show that the ‘record temperatures’ that they made up are non existent in reality. The fact that all the surface based datasets ‘produce near identical temperature records’ is damning to them all by association when you consider Phil Jones admits large amounts of data have just been ‘made up’. Do you want to know why the satellite record is superior? Compare the 2nd picture showing surface based coverage vs. the 3rd picture showing satellite based coverage. Now consider how the satellite datasets are verified by the entirely independent radiosonde records. I think Tamino is the last person who should be accusing others of being ‘deniers’, he a prime example of one himself. Tell me, when NASA states that the satellite record is the most accurate, why do you insist on using the inferior surface temperature datasets where large amounts of the data is ‘made up’? Is it because you’re cherry picking the less accurate datasets because the most accurate ones don’t fit your argument, or do you just prefer to use inferior & inaccurate data? Closer to home (always assuming your home is New Zealand, like Richard T, me, and others who frequently contribute) we have an excellent example of how (and perhaps why) data has been manipulated. De Freitas, Dedekind, and Brill published a paper (peer reviewed, yet) which (re)calculated adjustments to the 7 Station Temperature Series of NIWA which has acquired the status of de facto temperature record for New Zealand. In doing so they adopted the methodology described by Rhoades and Salinger which was clearly stated by NIWA at the time to be the method by which it adjusted the temperature record to account for changes in instrumentation and station changes. De Freitas et al found the adjusted series to show a linear temperature increase less than half that shown by the adjusted 7 Station Series. Subsequently NIWA revealed that it did not use the Rhoades and Salinger methodology at all, but they have, to the best of my knowledge, steadfastly refused to divulge the methodology. It did claim that the methodology it used was peer reviewed by the Australian Bureau of Meteorology, but has refused to divulge the contents of that review. I have no problem with accurate and appropriate adjustment of a temperature series to account for, and correct, changes to the location of stations and instrumentation. For example, the station at Hokitika was shifted from beside the estuary of the Hokitika River, at sea level, to the bench on which the airport is located, a height change of something like 30-40m if I remember correctly. But why would NIWA want to keep the methodology secret? Coincidentally, last year I wrote an essay on the relationship between carbon dioxide and temperature, confining it to data pertinent to New Zealand only. My primary reason was to show that contrary to the popularly promoted hypothesis, for changes over consecutive periods of 25 years in the New Zealand data, there is no obvious relation between an ever increasing carbon dioxide composition and temperature as shown by the (adjusted) 7 Station Temperature Series. It is a very simple analysis which requires no knowledge of, or application of statistical theory. Anyone with access to the data can look at it for themselves. The data is publicly available on the NIWA and other web sites. The essay was published on the NZ Climate Science Coalition website. There was some criticism levelled from a variety of sources that it was too simple, and the data was “cherry-picked”. Well, I did use the “official” information so it is hard to accept that I cherry-picked the data! We often seem to forget, when debating the fine points of data representation and adjustments, that the point of difference between those who support the hypothesis of anthropogenic global warming is not that climate is changing, but the extent to which carbon dioxide contributes to temperature increase. We often forget that no experimentation has determined a relationship between increasing temperature and increasing carbon dioxide. 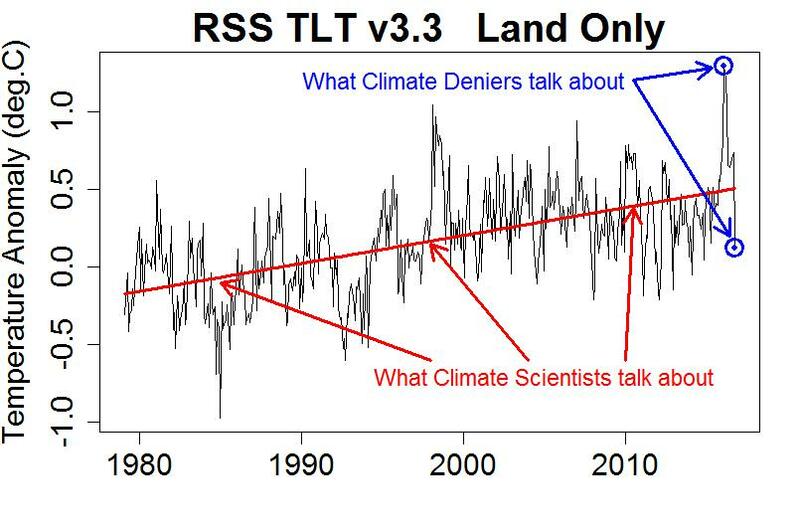 Those who promote the hypothesis and who brand sceptics (like me) as “deniers” forget, or refuse to acknowledge, that I don’t, RT doesn’t, and our colleagues in the NZ Climate Science Coalition do not deny that climate is changing. We know it is! But we do not agree with the reason they promote. I have been reviewing that essay, particularly as to the number of years over which the changes in temperature and carbon dioxide are taken. I have placed a slightly updated version of the essay on my web site at http://kerkin.co.nz/climate/nz_data.php. If you do look at it, on the last line I give a link to a supplementary page which looks at the data in more detail and which provide further links to pages which allow exploration of the end points of the temperature series and variation in the number of years chosen for a comparison between temperature and carbon dioxide changes. It is the NZ Temperature Record that is of most concern to me. NIWA insists that NZ’s temperature rose by 0.98degC between 1909 and 2015. The evidence for this has not been published in a peer-reviewed scientific paper. We learned in 2010 that NIWA had somehow lost the source data for the Temperature record. In 2010 Dr Wayne Mapp told Parliament that NIWA would carry out a review of its work on the NZ Temperature Record and during the 2010/2011 financial year would submit the work as a paper to a scientific journal. Well, we are coming up to 7 years since that work was meant to see the light of day. I could have completed 2 Ph.D. theses in that time. If, as Gareth Renowden contented on his Hot topic blog, the De Freitas Paper is “stuffed with errors”, then surely these “errors” would have been addressed in a rebuttal scientific paper. But no such rebuttal has been published in an independent peer-reviewed scientific journal. If one checks the GISS NASA temp map for Sep, 2016 it shows NSW in the 0.5C-2.0C above average shading. But NSW, according to the BoM was below average. I’m not sure if this is fraud or conspiracy but it definitely doesn’t look right. That would be hilarious if it wasn’t so grim, and means you must accept the rest of the accusations, since you don’t dispute them, and therefore you accept that your favourite scientists are not being “open and honest about their science.” But it must be a bitter list to contemplate. What about being open and honest? What about releasing their data on request? Being open with questions, trying to help? Not calling people deniers? Not forcing colleagues out who disagree with them? Simon has gone a bit quiet, possibly searching frantically for buttery (but, but, but,etc) material. And in case anyone is wondering, my wife and I moved back to enzed almost six years ago. Ah! I thought you’d said you were resident here again, but several of your comments made me wonder. Hope you’re enjoying it here. I have shown you how to obtain the raw data. The code for GISTemp, HadCRUT, and BEST is publicly available. What more do you want? No-one has ever found evidence of fraud in temperature records. If you go back in history, there were a lot of frivolous FOI requests cynically made to tie up scientists’ time; not to be constructive. All very analogous to a Denial of Service attack. It’s not surprising that individual scientists got frustrated. Check my post above. How do you explain that? Also here is GISS NASA raw temps for De Bilt (Holland). Now check the homogenised version. And all this change in just a few years i.e. when the ‘pause’ was becoming evident and things needed to change. There is a new site collating misinformation about climate change. The word fraud is bandied around with reckless abandon but in my opinion the use of it does disservice to both user and target. I suppose the most recent, prominent example is Trump’s claim that climate change (or global warming, or whatever) was a “fraud” perpetrated by the Chinese to undermine the American economy. You can make of that what you will. Personally I think it was merely political rhetoric which is not worth consideration. I rather think the term is used because the numbers bandied around regarding alternative energy sources, emission reduction, climate mitigation and the like are so large that anyone who is sceptical about the AGW hypothesis tends to perceive that the concept is a “fraud” being foisted on society. While I do not agree with those who believe (and isn’t that the operative word?) that the emission of carbon dioxide is condemning us to a doom they believe to be avoidable, I do not believe the majority are carrying that flag for fraudulent purposes. Of course, a number of the academics involved may be concerned about their research funding the the tenure of their positions, but I do not believe that most are seeking to line their pockets at the expense of the rest of us. The difference I perceive between their stance and mine is that they support a hypothesis which does not appear stand up to tests which use scientific principles. Because they haven’t been able to prove the hypothesis they tend to resort to models, proxies, methods, and analogies which support their contentions. Thus we have seen a shift from “global warming” to “climate change”. Thus we have Phil Jones stating in an email that he was not prepared to release his data because he believed the intention of the person requesting the data was to discredit it. Thus we have seen Michael Mann get increasingly litigious to try to prevent others from challenging his views. Thus we have seen claims regarding the frequency and ferocity of extreme weather events when even the IPCC acknowledges that there is little or no evidence to relate such events to climate change. Thus we have seen pejorative insults such as “climate change denier” levelled at the likes of me when I certainly do NOT deny that climate is changing. Thus we see suggestions that those who oppose their views on climate change should be prosecuted. And thus we have seen temperature records manipulated so that they show ever increasing upward trends. Perhaps, if the plot had revealed an apparent relationship I might have considered finding some sort of “average” temperature increase for whatever increase in carbon dioxide. Even then I probably would have asked myself whether the statistics of a normal, Gaussian, distribution could be applied because my analysis (extensive) of the temperature records from many of the weather stations in New Zealand show that all of them are far from being unimodal in distribution. A cursory view of that station shows that something changed around 1950. It may have been equipment, site change, or construction of a neighbouring building. We don’t know what that was without metadata. All you are doing is demonstrating why adjustments to the raw temperature data are necessary. No-one here is disputing that homogenisation of temperature data may be necessary. What we would all like however are the “adjustment schedules” and homogenisation techniques employed to be open for scrutiny. It is important to ascertain that adjustments are being made in a consistent manner within and between all agencies operating national temperature records. I have no idea as to whether the Rhoades and Salinger 1993 method has been employed elsewhere in the World (let alone, consistently in NZ). Maggy, it looks as though R&S 1993 has been used in Spain (https://books.google.co.nz/books?id=JyVzuUzdASoC&pg=PA260&lpg=PA260&dq=rhoades+salinger&source=bl&ots=tnpEhjyqXP&sig=qUxQkPPstKpPJosYxCm_p3D0nYU&hl=en&sa=X&ved=0ahUKEwibp5m73OrQAhWHl5QKHctBA7U4ChDoAQg0MAY#v=onepage&q=rhoades%20salinger&f=false) but I haven’t bothered to search further. I feel intense distaste for the term “homogensation”—I have visions of various stuff being put in a blender! It always seems to me to be a process to smooth out short term variations and remove outliers which are legitimate points in the record. One of the reasons, I guess, for my feelings about the application of statistics. That said, however, not all changes are of a step nature. There can be little doubt that Albert Park was subject to urban heat island effects and growing trees shading and sheltering it over its long life time. That is one of the reasons postulated for using remote stations for comparisons which might show up such long-term effects. It is also the reason I reached my conclusion about the statistics of temperature series which are used for comparison purposes. I contend that if two series are to be used for comparisons their distributions should at least look similar. That is to say that a unimodal distribution cannot be successfully compared with, say, a trimodal distribution. And yet Te Aroha was considered a suitable station for comparison with stations in Auckland. Notwithstanding the distributions of the temperature records are vastly different, I would have thought the geographic differences would have been sufficient to suggest such a comparison was nonsensical. The trouble is Simon is that it happens very often and always the same; the past is cooled and the present is warmed. It can’t have happened like that so often. BTW, to access the GISS NAS temp map for Sep (which I talk about above) you need to go here and put Sep in the Mean period bar. The “demonstrable speciousness” of NOAA’s global temperature data set exposed. The truth about NOAA and its dodgy data exposed.